Julia Cornelia Paula was Empress of Rome from 219-220. 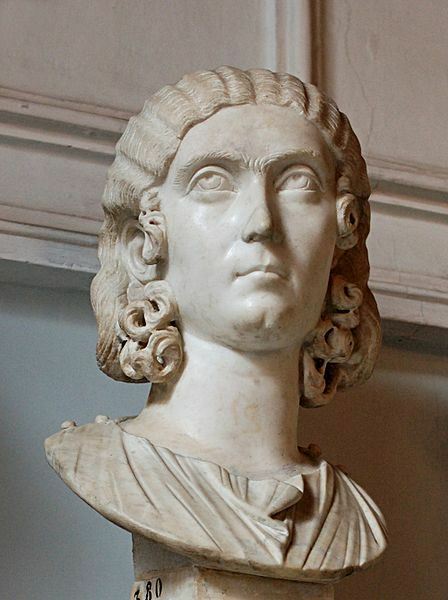 In early 219, Julia Maesa, eldest sister of Roman Empress Julia Domna, arranged for Cornelia Paula to marry her grandson, the new emperor Elagabalus. Their wedding was lavishly celebrated in Rome. Cornelia Paula became Elagabalus' first wife and was given the honorific title of Augusta and the family name "Julia". In late 220, Elagabalus divorced Julia Cornelia Paula to marry the Vestal Virgin Aquilia Severa in a union that was considered scandalous because she was still a Vestal. After the divorce, Elagabalus removed Paula's Augusta title. As they had no children, she withdrew from public life and her fate afterwards is unknown.